We’ve selected the best places to stay in Yorkshire, including luxury hotels, boutique hotels, budget hotels and pubs with rooms. With rates provided by our Booking Partners, it’s easy to check availability and book. On the edge of the picturesque Yorkshire Dales, a stay at this exclusive luxury castle hotel is very fine indeed. With award-winning food and a new spa, it offers one of the best gourmet breaks for food lovers in the country. Housed in a converted Georgian stable block is Swinton Park’s renowned cookery school. 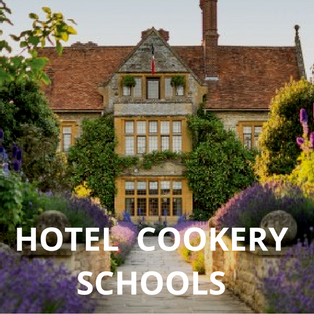 Pick your produce from the hotel’s 4-acre kitchen garden and learn to cook with Cookery School Tutor, Kevin Hughes. With falconry, horse riding, wonderful woodland walks and 20,000 acres of parkland to explore, this is the place to relax, enjoy the countryside and taste outstanding food. Beer-lovers can go and do the brewery tour at the Black Sheep brewery in Masham. You’ll find The Wensleydale Heifer in the village of West Witton. Chocoholics visiting the Yorkshire Dales, can stay in one of two chocolate-themed rooms at this quirky restaurant with rooms. There’s also a Malt Whisky room, a Champagne room and even a cow-themed room. The restaurant and fish bar are both popular. A great base for exploring the scenic Yorkshire Dales. The Black Swan has the perfect location overlooking the market square in the pretty North Yorkshire village of Helmsley. The hotel building is a characterful mix of Tudor, Georgian and more modern day architecture. Immaculate, country house style rooms offer guests comfortable accommodation. There are extra facilities for outdoor enthusiasts. With close proximity to the North Yorkshire Moors, expect to see cyclists, walkers and shooting parties staying here. Some of the bedrooms are dog friendly, too. A real bonus is the traditional Yorkshire Tea Room, by itself a destination for visitors to the area. As for food in the restaurant, local specialities such as Whitby crab and lemon sole, chips cooked in beef dripping and Black Sheep ice cream. Some dishes are on the pricey side – £40 for a 48-day aged fillet steak. Relax and re-energise at this award-winning North Yorkshire spa hotel that’s quietly tucked away in the attractive village of Helmsley. Book into a luxury spa suite and you’ll have a balcony overlooking the pool, a double-ended bathtub and a huge bed with crisp Egyptian cotton sheets. There’s a fabulous outdoor pool with lots of space for relaxing in a sun lounger and chilling out. Try the hot stone massage in the Verbena Spa. It uses warm basalt lava stones to massage the body from head to toe. If you can bear to leave the hotel, Helmsley has interesting boutiques, excellent tearooms and local eateries and a ruined castle. Don’t miss visiting the beautiful Helmsley Walled Garden. The garden’s Vine House Café serves delicious homemade cakes. For a taste of luxury in the Yorkshire countryside, stay at The Coach House, a boutique hotel just an hour’s drive from York. It’s located on a 200-acre estate in the grounds of Georgian pile, Middleton Lodge. 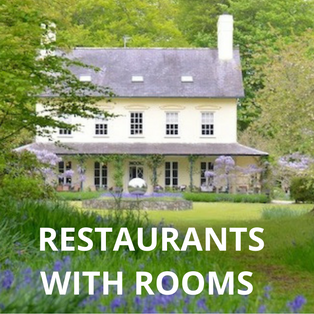 The restaurant sources produce from the estate and its 2-acre kitchen garden that has been beautifully restored to its former glory. With treatment rooms, you can eat well and recharge your batteries. A second restaurant serving modern British dishes is due to open soon. 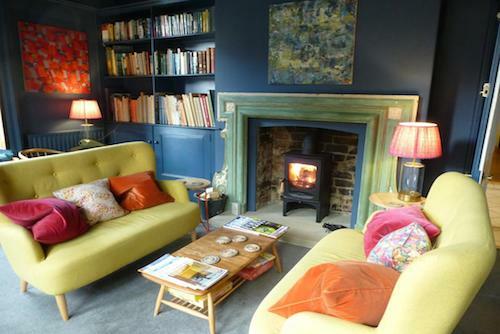 A small but perfectly formed, boutique B&B in an ideal location. The Bijou is only a 5-minute walk from the centre of Harrogate where there are plenty of places to eat and drink including Bettys famous tearoom. This intimate and elegant guesthouse is immaculately presented throughout offering guests hotel standards and service. There are quirky features including a white baby grand piano in the lounge. The bedrooms are cosy but comfortable and come with plenty of added extras. Begin your day with smoked salmon and scrambled eggs or a full English from the breakfast menu for which there is an additional charge. Rooms from £57 a night. The Grafton is ideally placed for exploring Harrogate and its attractions such as the Turkish Baths and Valley Gardens. The boutique B&B is located on a quiet street in the heart of the historic spa town. There are thirteen smart and contemporary en-suite bedrooms offering affordable luxury. Each one has crisp white sheets, a comfy bed, lovely bath products and a hospitality tray that includes nice touches such as Harrogate toffees. It’s perfect for a car-free weekend away in this attractive Georgian town as the train station is a handy 10-minute walk away. The busy market town of Pickering with its independent shops and weekly market makes a great base for a stay in North Yorkshire. You can hop aboard the North Yorkshire Moors railway, go walking or cycling on the Moors or visit nearby attractions such as Castle Howard. The White Swan, an old coaching inn, is a really lovely place to stay in the town. Fuss-free luxury and a warm and friendly Yorkshire welcome greet guests who stay here. The bedrooms are gorgeous and come in either ‘Vintage’ or contemporary styles. In the restaurant, delectable Yorkshire cooking and superb pub grub – beer battered Whitby haddock, belly of pork, and rump steak served with Pickering watercress. Some of the Hideaway rooms at the back of the hotel are dog-friendly. Shallowdale House B&B overlooks the Howardian Hills and sits on the southern edge of the North Yorkshire Moors. A trio of delights await guests who stay at this wisteria-clad guesthouse: magnificent views, superb food, and a warm and hospitable welcome. The hillside gardens are gorgeous. This is a peaceful countryside retreat where you will feel like you’re staying in a friend’s beautiful home. There are 3 colourful bedrooms to choose from. Nearby, the traditional market town of Helmsley with its independent shops; stately pile Castle Howard and Rievaulx Abbey. Broom House is a stylish and smart B&B in a tranquil countryside setting in the picturesque village of Egton Bridge. It’s an excellent base for exploring the North Yorkshire Moors and the East coast with its famous fishing towns of Whitby, Staithes and Robin Hood’s Bay. Walkers, cyclists and fishing enthusiasts will find it an ideal choice. The coast-to-coast path is on your doorstep, you can hop aboard the North Yorkshire Moors Railway at Grosmont and there’s fishing for local salmon and sea trout nearby. The bedrooms are tastefully decorated with pretty fabrics, crisp white linen, sparkling bathrooms and views out over the Esk Valley. Traditional wooden beams, a roaring fire and award-winning food characterise this seventeenth century inn with rooms in the heart of Yorkshire. 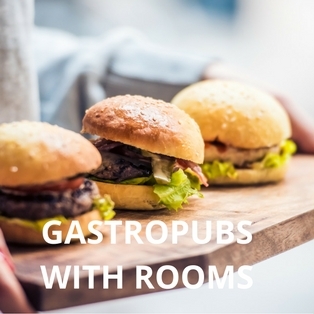 Food lovers will enjoy all the different dining options on offer. Treat yourself to afternoon tea, dine on steak in the Grill Room or tuck into Friday fizz and chips. The hotel will provide guests with details of walks in the local area.